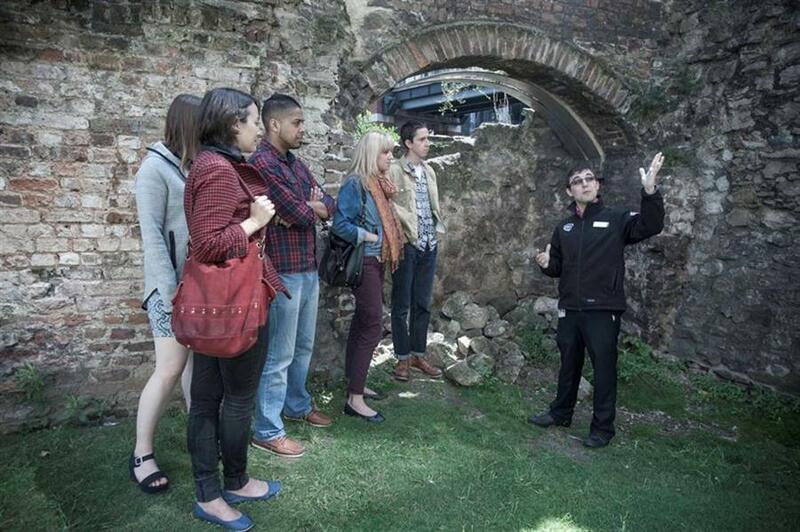 Tour the remains of the western gate of London’s Roman military fort, located beneath the streets next to the museum. Step into Roman London’s military fort, located under the Museum, and learn about the Roman foundations, their discovery, excavation and preservation. Walk through London Wall’s medieval tower garden at street level, then under the road to the remains of the Western Fort Gate, where Roman sentries controlled access to Londinium. Please note the fort gate can only be accessed via a short flight of steps and so this visit is not suitable for wheelchair users.